Will you help a cat like Daisy? MISSING CAT - WHAT TO DO! This page will explain what you should do if you have found a cat and wish to report it to us, or yours has gone missing and want to utilise our free service to advertise it. Photos are always extremely helpful; if you have any of these on your computer, please send an e-mail with your and your cat's details as well as the pictures to lostandfound@fareham.cats.org.uk. Along with advertising your cat lost with us, we recommend that you report it to the RSPCA, your local council and any nearby rescue centres. 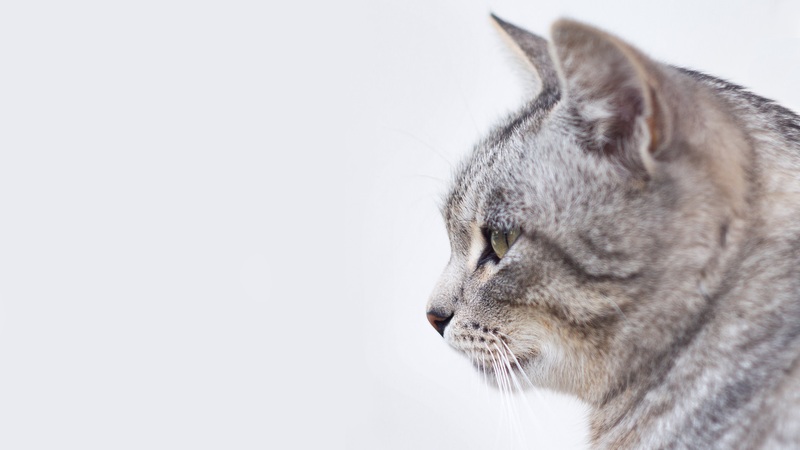 There are also several online registers, such as AnimalSearchUK.com, NationalPetRegister.org and PetsLocated.com, where you can register your cat's details free of charge. Putting up and posting flyers and going door to door around the neighbourhood is also helpful to raise awareness locally. Additionally, cats have a strong sense of smell so if you think your cat may simply be lost, try placing some of their items - such as bedding - and food just outside your home to let them find their way back. If you find a cat that you think may be a missing pet or a stray, the first thing to do after ensuring that the cat is not in any immediate danger is to consult existing lost and found registers such as those listed above to see if the cat has already been reported as missing. If not the next step would be to check if the cat is microchipped, which your local vet can do for you. If required we may be able to arrange to come out to scan the cat, however because the branch is staffed by volunteers this may take some time, so the veterinary route is preferred - remember, someone is most likely missing this little kitty desperately! If you find a cat that is not microchipped and whose owner cannot be found, please contact us and other relevant animal rescue organisations with details of the cat; we do ask that you keep the cat with you until an owner is found if at all possible, as we have very limited facilities for taking in strays. Do you like making friends? In need of a bit extra cash?